Google has just introduced a new feature in its popular email service Gmail. 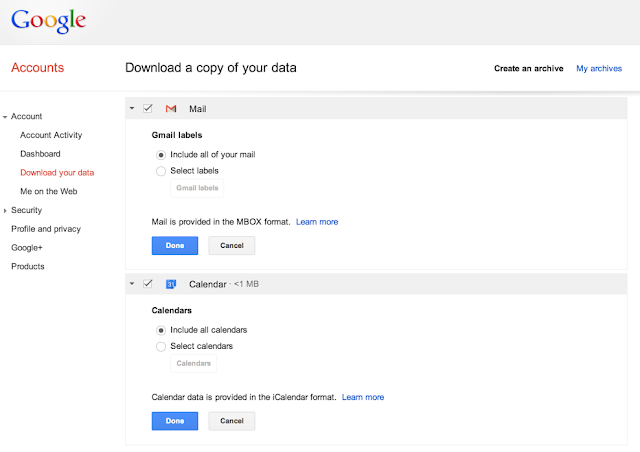 This new feature will allows users to export their emails from gmail and calendar data to create backups and to make it easier to migrate to a different Mail platform. The export is made in a MBOX a file type supported by all mayor mail platforms. Important: For those who are unable to see the “Gmail” product under the list of products it is because Google is still rolling out this feature, it should appear in the upcoming days.